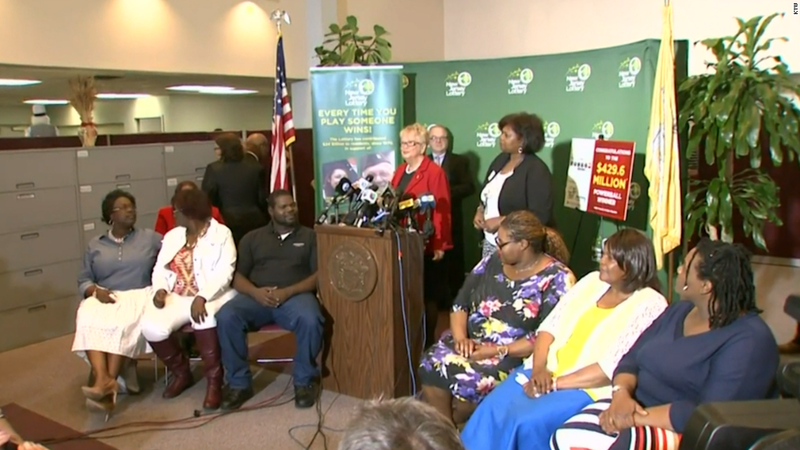 A New Jersey family that bought a ticket to last week's $429.6 million Powerball jackpot publicly announced they are the winners at a press conference Friday. The Smith family -- a mother and her seven adult children -- said the family's matriarch, Pearlie Smith, bought the winning ticket. Valerie Arthur, one of her daughters, spoke on behalf of the family. "It was a big shock," Arthur said. "It was a bigger shock when we learned we were the only ticket holder." 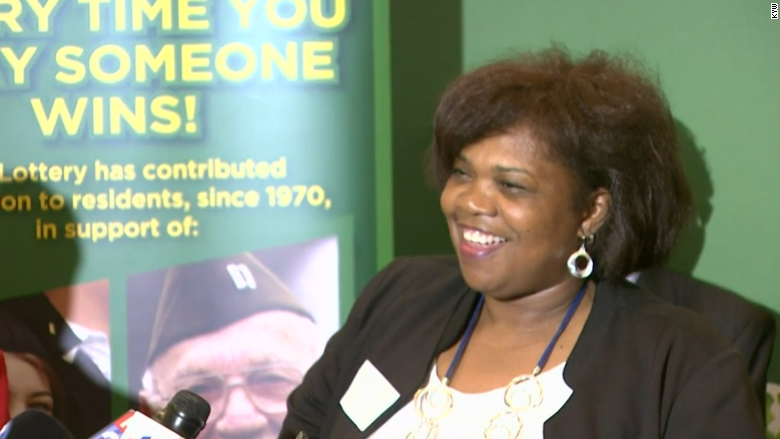 Valerie Arthur spoke on behalf of her family, the winners of the $429.6 million Powerball lottery. She said the winning numbers were chosen "through a dream -- divine intervention" -- they didn't use birthdays or anniversaries. Indeed, when Pearlie Smith bought the winning ticket she took the unusual step of choosing the numbers herself, instead of using numbers generated by a computer. The family chose the lump sum of $284 million, which will be about $35 million each when it's split evenly among them. Arthur explained that the family felt it was important to educate themselves about how to handle their new winnings, so they've hired a team of lawyers and advisers. "If it does change me I think it will change me for the better," said Arthur, when asked about her new wealth. "I know you receive and you give. That is the rule." The jackpot is the sixth largest in U.S. history, and the largest in New Jersey to ever come from a single ticket. After 18 drawings without a winner, the lucky numbers were drawn on May 7. The store owner who sold the winning ticket also gets a windfall -- $30,000 from the New Jersey lottery. Some of that will be shared with 7-Eleven since the store is a franchise. Lottery winnings are taxed like income, and the IRS taxes the top income bracket 39.6%. The government will withhold 25% of that before the money ever gets to the winners. The rest has to be paid at tax time. Then there are local taxes. Of the 44 U.S. states that participate in Powerball, all but a handful will take an additional cut of the money. And the eight winners of this jackpot are luckier than most, since New Jersey has one of the country's lowest local tax rates at just 3%. If the winners lived in New York, they'd have to pay 8.82% in local taxes. If they lived in New York City, they'd owe an additional 3.9% in city taxes.